13. 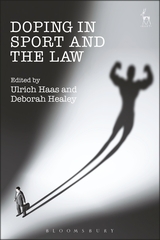 The Juridifi cation and Criminalisation of Doping: Time to Revive the Spirit of Sport? Ulrich Haas is Professor of Law at the University of Zurich, Switzerland. Deborah Healey is Associate Professor of Law at UNSW, Australia.